Update 2016: One of the things I love about exploring a new park are the differences between them. In the snack category, Tokyo Disney Resort has a lot of unique offerings worth trying. To cover it all would take a small book so we’ll hit the highlights of things to try and hopefully you’ll be inspired to try something different and wonderful. 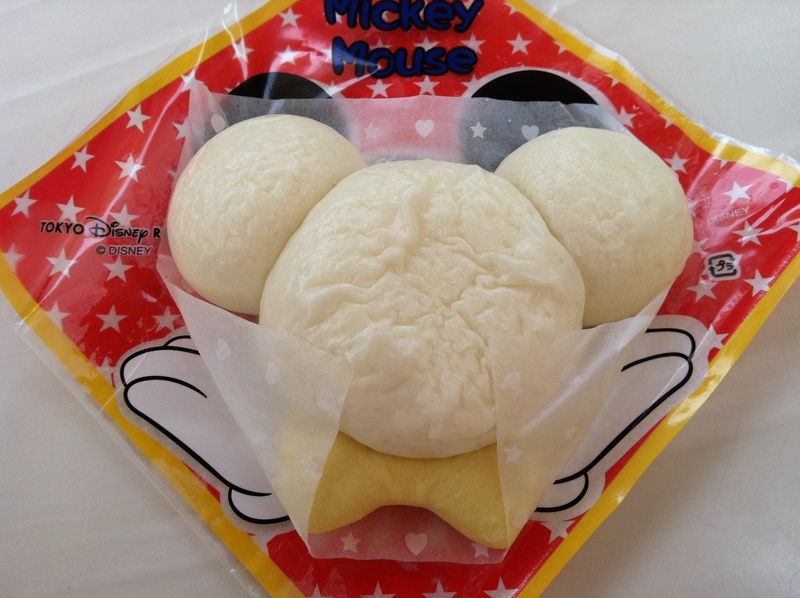 Mickey Cha Siu Bao! Another must have at the park! One of my favorites is the Mickey Cha Siu Bao. Found in Tokyo Disneyland in Adventureland at Boiler Room Bites, this savory treat is unique when it comes to buns. The ears were filled with the traditional BBQ pork, but the head was teriyaki chicken! Yum. They also had a sweet Minnie Mouse Bao with strawberries and milk flavors. Tiramisu Ice Cream Sandwich – my new yummy treat. My favorite dessert! Sour apple and I think grape sherbet. It was just plain awesome! I loved it so much I had to take a lick before taking a picture. I have to admit I was super sad to find out that one of my past favorites was no longer available. At Squeezers Tropical Juice Bar they had this amazing sherbet on a cone which was a swirl of both sour apple and I think grape. But they’ve since replaced it with some boba drinks. That was fine because our most recent visit had me discover a new ice cream favorite – the Tiramisu Ice Cream Bar! It had almost a gingerbread taste surrounding a solid bar of vanilla ice cream. It was a refreshing and delicious treat. Gyoza Dog – Japanese / Chinese / American fusion? Not to be left out, there are some interesting gnosh-able snacks at Tokyo Disney Sea. One that was definitely unique was something called the gyoza dog at the Refreshment Station in Mysterious Island. If you’ve ever had a gyoza (Japanese steamed dumpling) and a cha siu bao (Chinese steamed dumpling) and mashed them together, this is what you’d get – the doughy bun of a Chinese bao and the filling of a Japanese gyoza. It was actually very good! Sort of like a Japanese hot dog. Speaking of hot dogs, at the Liberty Landing Diner they had a bacon wrapped rice dog that was so tasty we had quite a few. It was exactly like it sounds – rice in the shape of a hot dog surrounded by bacon and then deep-fried. Totally worth it. Popcorn is huge at the Tokyo Disney Resort. They have multiple flavors at different locations in both parks so if you find one you like, stick with it and maybe buy two. Thankfully, the guide map tells you exactly where you can find them. Our favorites were basic – caramel and chocolate. White chocolate was good, honey and salt were okay, but soy sauce and butter was the only one we didn’t like at all. The resort has the best containers, too. We bought one in the shape of Stitch. His mouth opens and you reach inside to eat the popcorn. We bought a Duffy one for my daughter which was so cute. 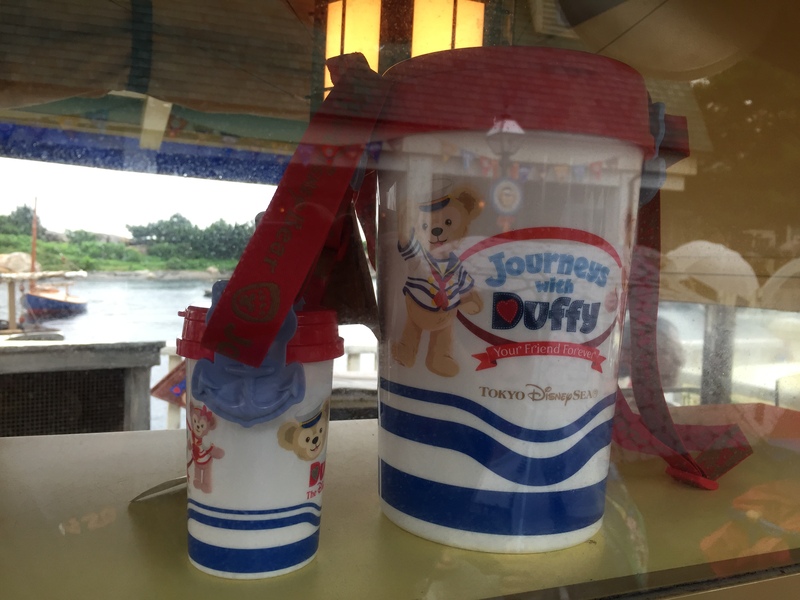 It came with a mini-bucket for Duffy which they also filled. Something interesting to know before you go: it wasn’t always easy to find something to drink unless you wanted a Coke. The drinks are really different. Even plain bottled water was sometimes hard to find. There was plenty to drink but the flavors just weren’t very appealing to me. However, they did have orange soda and grape Fanta in quite a few places so that was my “go to” while we were there. Plus, their grape Fanta is better than in the states. Super tasty. There are lots of great snack options at the Tokyo Disneyland Resort! You may not find churros, but there are more than enough tasty treats to satiate your taste buds. Hope you enjoy! 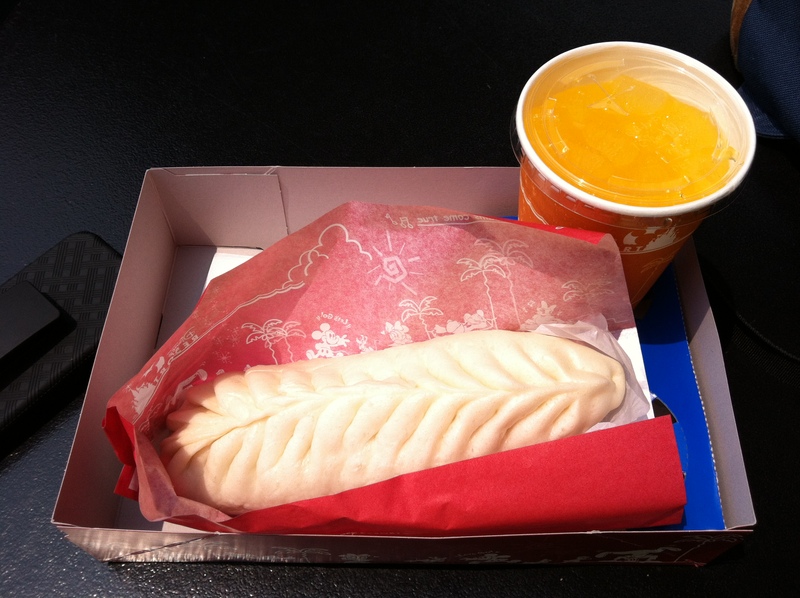 To read about meals at the Tokyo Disneyland Resort click on this link.